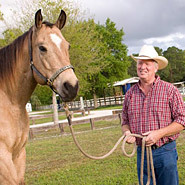 Equine Articles on Training Horses, Horse breeds and General Horse information by our Horse Professionals. Enjoy the beautiful horse pictures and check the bottom of each article for information about the author. 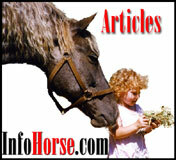 New horse articles every week. New Horse Product articles organized for you to do your research before purchase. If you need help with your horse these Horse Article writers are the ones to contact. Great Information written by the horse industry experts about every aspect of horse ownership. Every main page of InfoHorse.com has articles related to the subject category at the bottom of the page. So much to learn here! Horsemanship is the journey of a lifetime. We can never know it all. We learn from each other and through experience and observation from the horse.